Children start collecting information the minute they open their eyes to this fascinating world and they are definitely challenged, intrigued and influenced by the first images in the surrounding environment. In this context, wool rugs will not only offer their warmth and protection to the sensitive little body but they will also unlock their imagination and allow kids to dream, travel, fantasize and learn new things. Kids will spend time on the rugs and you should give them more reasons for wanting to lie on the soft fibers. Hence, you need to be very careful with your choices and actions. 1. Choose the right rugs for your kid's room. 2. Replace them with new ones, which would match their current interests,as time goes by. 3. Keep them clean with regular rug cleaning and by using the right products, so that you can shield their health. Let the children dream! Let the carpets help them dream! It is not a coincidence that a story about a flying carpet flew over the world conquering the hearts of young and old people. Welcome the newborn with soft colors, soft fibers and cosy corners. Change the carpets as the kids grow older to keep them intrigued and interested. There are fantastic rugs in the market and you should pick ones with medium fiber height to make dirty rug cleaning easier. They come out in different sizes, shapes and have amazing vivid colors. There are rugs with geometrical shapes, numbers, the alphabet or they depict actual games. Pick rugs with the kids' favor cartoon or with educational motifs. Children will stay motivated and they will prepare themselves for pre-school activities or the first educational steps. You can create a new magic world for your kids and renew it often but you need to keep this world safe in regard to their health. 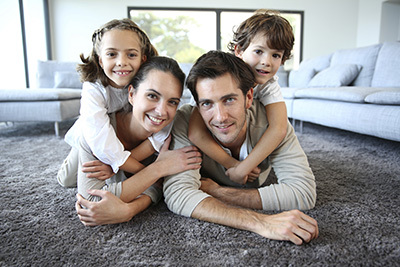 Carpet cleaning is required on a daily basis when it comes to kid's rooms. a. Remember that carpets collect too must dirt, dust and food residues. They can get dirty with the kid's markers and be stained by their hot cocoa. b. Stain removal is necessary to avoid seeing your young ones lying on a dirty carpet. c. Don't forget that they will put their mouth, tongue and fingers on the rug. d. Rugs get dirty even if you don't step on them and need cleaning daily but you must also pick the right ecofriendly products to protect their health all the way.